Russian-born painter Wassily Kandinsky is credited with creating the first abstract painting, perhaps as early as 1910. 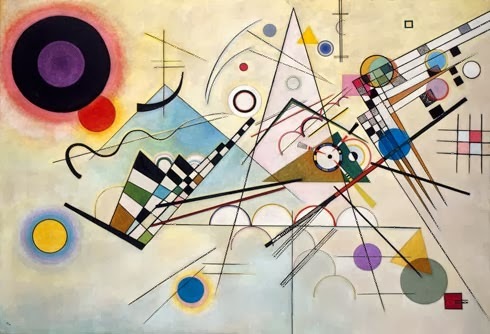 Thirteen years later, he painted Composition 8, a large canvas with interacting circles, triangles, and linear elements that he considered the high point of his postwar work.1 Mining magnate Solomon Guggenheim and his wife Irene purchased Composition 8 from the artist at his studio in Dessau, Germany in the spring of 1929, and hung it in their suite at the Plaza Hotel, the first of more than 150 works by Kandinsky to enter their collection. 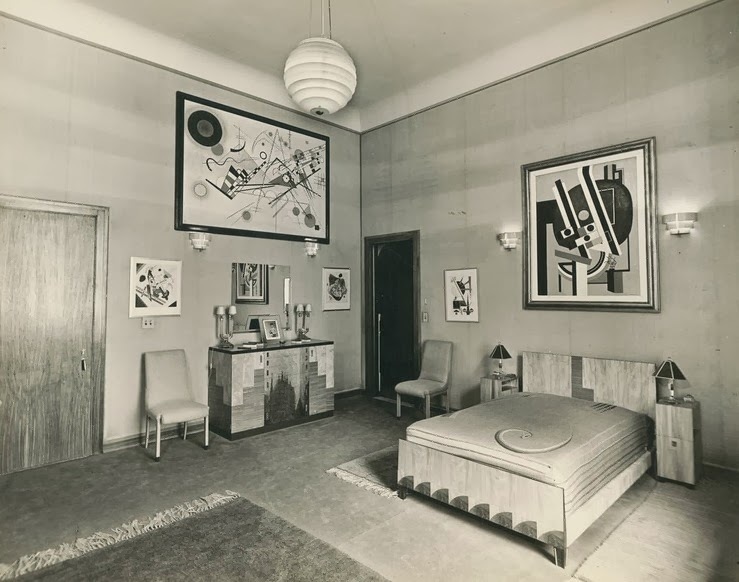 The avant-garde painter and these important patrons, all born in the 1860s, came from the same generation and would later say that their interest in art was sparked by an event in 1895. 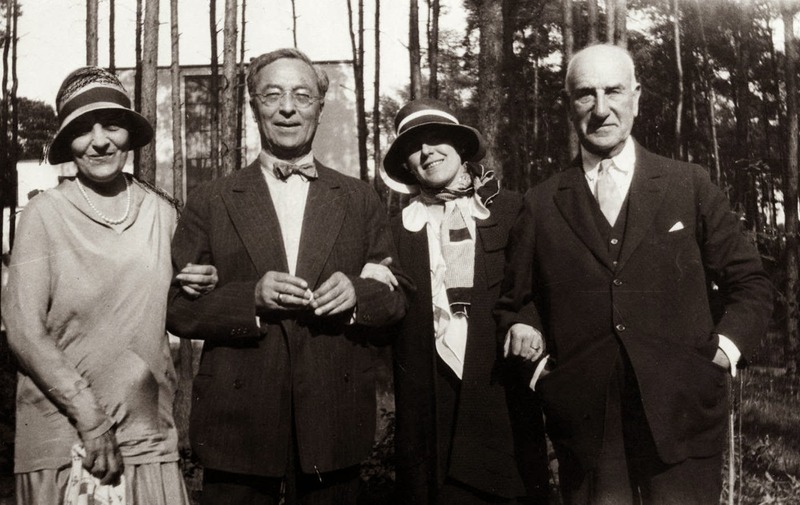 For the Guggenheims, the artistic journey began shortly after their marriage in April of that year. A menu from their wedding banquet suggests that it was a conventional, upper-class affair of the fin de siècle, the closing phase of the nineteenth century when art was running out of new things to say, and the seeds of a more daring expression had not yet taken root. 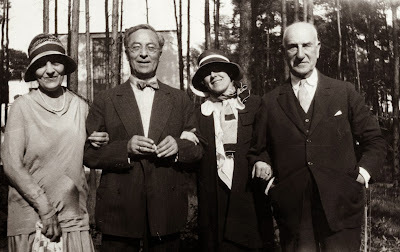 Kandinsky claimed that he decided to become a serious artist in 1895, after visiting an exhibition of French Impressionist paintings in Moscow, where he was dumbfounded by Claude Monet’s Haystacks at Giverny. “It was from the catalog I learned this was a haystack. I was upset I had not recognized it,” he later recalled. “I also thought the painter had no right to paint in such an imprecise fashion. Dimly I was aware too that the object did not appear in the picture.” Soon after this visual shock, he quit his job designing box covers for chocolates and left Russia to study art in Germany. In less than two decades, the demise of the old social order was complete, as evidenced by nonobjective paintings like Composition 8 which is now part of the permanent collection of the Guggenheim Museum on East 86th Street, light years away from where this wedding banquet took place. 2. In 1898, Delmonico’s moved up Fifth Avenue to 44th Street, cutting the distance roughly in half. The following year, the residence of V. Henry Rothschild at 4 East 67th Street was torn down and replaced with the magnificent, 16,400-square-foot townhouse that stands there today, currently owned by the Government of Japan. Hasty amendment to the above viz. game birds, I missed the plover. That is a period touch.